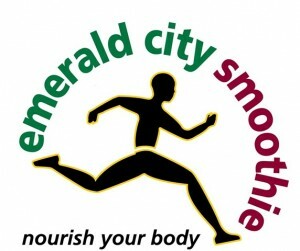 Emerald City Smoothie is a retail concept that marries taste and good health. At the center of the value proposition is an incredible tasting smoothie. The best description of our smoothies is that they are each freshly hand made, full of healthy fruit, and optional proteins, vitamins, and minerals which create a terrific healthy and nutritious meal replacement. We also offer a supporting line of nutritional products that support our customer’s health goals such as weight loss, muscle building, protein boosting, immune building, or energizing. We are “two stores in one” with revenues from smoothie sales as well as the retail product line. Our core customer is of an active lifestyle, values good health, 16-45 years old, and appreciates the great healthy fast food alternative, is in the store for 5-10 minutes and off to work, or work out, or running errands on a tight time schedule. Our smoothie is easily and pleasantly consumed in the car or at a desk.